SHARE Bring the essence of cool autumn breezes and graceful falling leaves to your event with our fall design glass jars. 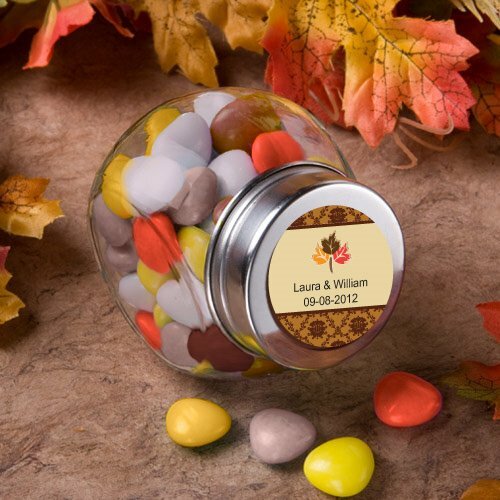 Personalize your jars by choosing from a variety of designs and colors along with 2 lines of custom text to make this favor one your guests will love to take home. Measuring 2 3/4" x 1 3/4", each jar comes complete with a metal screw on lid.